All our stores offer a friendly, professional service with experienced consultants, in private, comfortable surroundings. We will strive to exceed your expectations, ensuring every Bride has the best experience, as we want choosing your gown to be an adventure you’ll remember fondly. 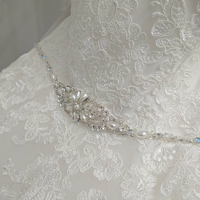 Our collection of exquisite gowns is mix of contemporary, classic and vintage styles at realistic prices, which we hope will ensure you will be certain to find the perfect wedding gown for your special day. To view a full list of all of our events, go to the Events page. To book an appointment with us, call any of our stores direct. Alternatively you can message us through any of our Facebook pages. Start your bridal journey here – making bridal dreams come true.